It’s a bittersweet day at Ford Australia’s head office in Melbourne, with the company’s US head office signing off on a huge $500 million research and development program for 2019. However, the program comes at the expense of local jobs, as various engineering programs are consolidated across the Ford world. The figure is also $74 million lower than the total spent in 2018. Ford’s You Yangs proving ground has become an important research and development centre for the company, with various projects undertaken for markets in Asia and the US. Several tens of millions of dollars have been invested in the site, even after the demise of local manufacturing. A new $13 million investment in design facilities will join existing state-of-the-art acoustic and environmental R&D facilities at the Victorian site. 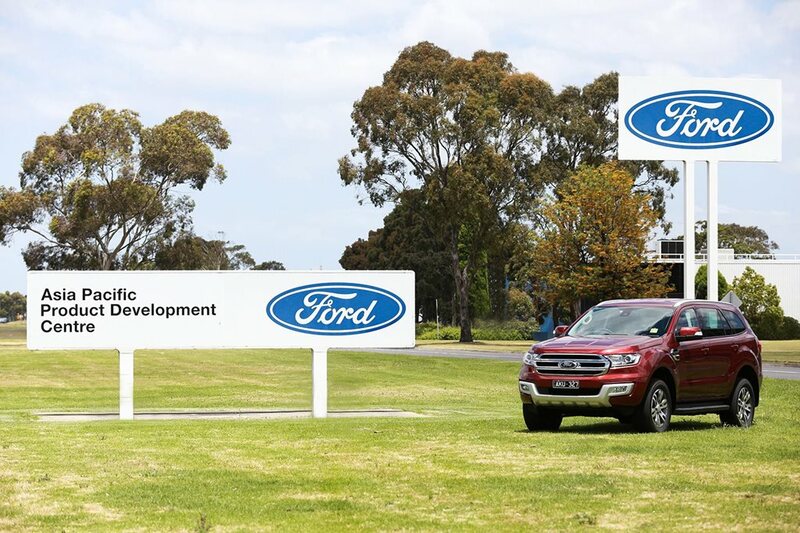 Ford also runs facilities at the old Broadmeadow manufacturing site, and from its Geelong offices. The group’s workload is set to ramp up, as Ford works towards centralising many of its platform and powertrain programs across the world to cut costs. Australia is in a good spot overall, thanks to Ford Australia taking the lead on the design and development of the current Ranger light truck, code-named the T6. This work will ramp up in 2019, thanks to a new deal recently struck between Ford and Volkswagen which will see the two companies share the development costs of the next Ranger and Amarok. Volkswagen’s next ute will be a Ranger under the skin, using an updated version of the current T6 chassis. It’s due in 2021 or 2022, alongside a refreshed Ranger. However, Ford has confirmed that jobs will be lost locally as part of a global restructuring program. “While Ford’s workforce in Australia will remain more than 2,000 people strong, there will be changes in the composition of the local workforce, to be achieved through a mix of new hires, redeployments and separations,” read the statement. It’s understood that approximately 200 jobs will be lost across various engineering programs, as Ford head office moves to consolidate various programs across various territories. Ford confirms the total includes 90 contractors, 75 hourly workers and 40 full-time staff.